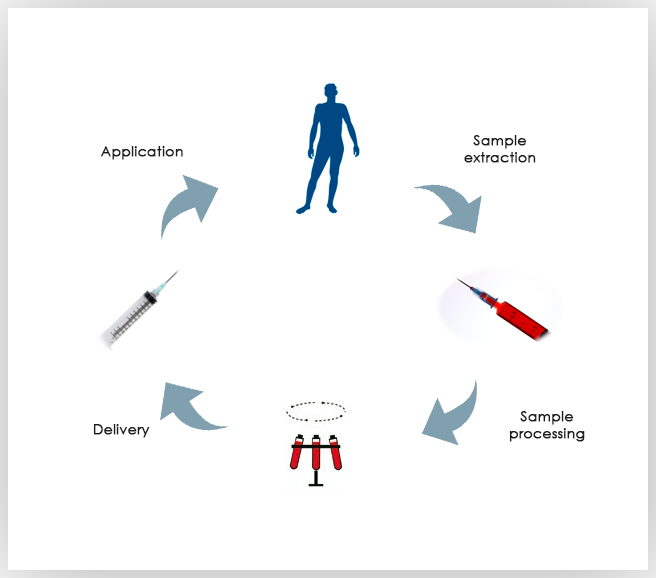 The PRP is a product obtained from the centrifugation of a small blood sample of the patient resulting in a high concentration of platelets. These, when activated, release growth factors and active substances that collaborate with reparative processes in the healing of wounds of the mouth and skin, osteoarthritis, arthritis, joint injuries, injuries ligaments, alopecia, among others. The PRP is a safe, minimally invasive and easy to apply product. Its use and efficacy depends on the pathology of the patient and the appropriate treatment will be determined by the professional’s clinical evaluation. The PRP applied to dentistry is useful for all types of pre - prosthetic surgery accelerating bone regeneration and bone quality around implants. On the other hand it reduces inflammation, oral pain and improves healing result.